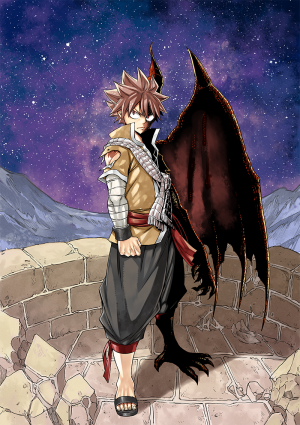 Fairy Tail: Dragon Cry Home Video Release Info. Coming to Ltd Collector's Ed. Blu-ray, Standard Blu-ray and DVD on 28th May 2018. With so many major releases coming your way over the coming months, we’ve been offering you first glimpses at a number of our big titles – including a surprise or two – to whet your appetite recently. However, one big forthcoming release we haven’t let you take a peek at yet is our home video release of Fairy Tail: Dragon Cry, which we know many of you loved when we brought it to UK cinemas last year. So, how about we right that wrong here and now, and let you take a look at what we have in store for Fairy Tail fans when it comes to adding this great movie to your collection? First up though, let’s talk about the film itself in case you’re not up to speed with Dragon Cry and what it’s all about. Fairy Tail: Dragon Cry will be coming to the UK as a Blu-ray+DVD Limited Collector’s Edition, as well as via Standard Edition Blu-ray and DVD editions, all of which will be available from Monday, 28th May 2018. On the disc itself you’ll find the film in full (featuring both English and Japanese 5.1 audio with English subtitles), alongside trailers and promotional videos for the movie on the Blu-ray. 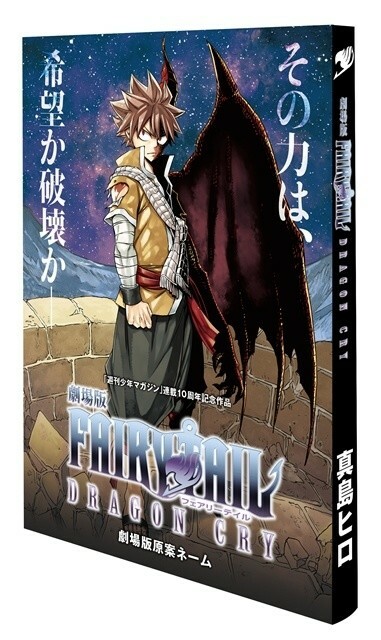 If you are planning to order Fairy Tail: Dragon Cry from our own online store, then you should read on for news of an exclusive – and strictly limited – bonus item that we’ll be providing alongside this release. 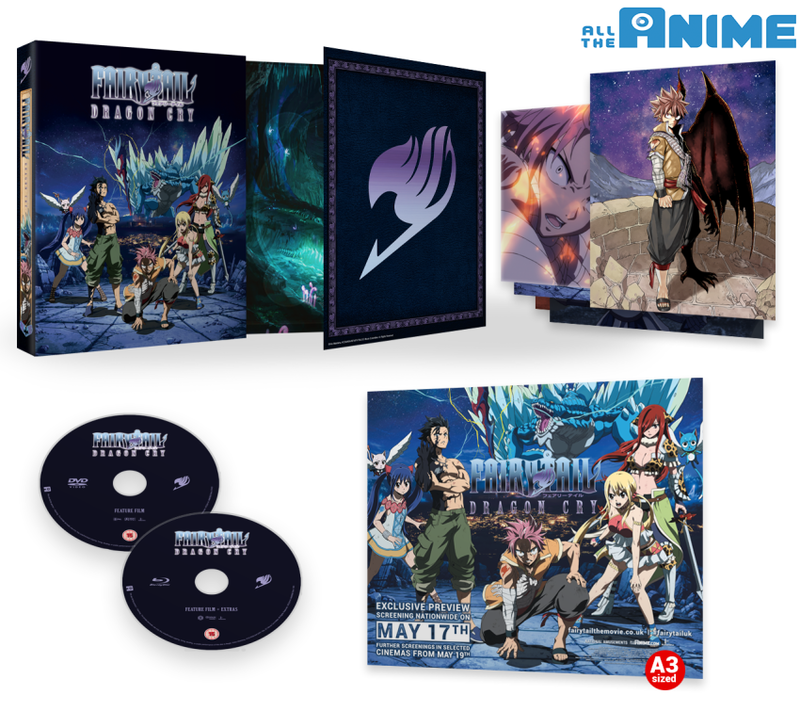 For those looking to pre-order our Limited Collector’s Edition Blu-ray, we’ll be offering the first fifty (and only fifty) customers who place a pre-order for Fairy Tail: Dragon Cry a copy of the official Japanese storyboard book for the film – this very same book was also distributed to some attendees of the film’s original theatrical release in Japan. This book totals 200 pages and is packed with draft storyboards from the original creator of the Fairy Tail manga, Hiro Mashima. It’s full of fascinating insight into the creative process around Dragon Cry and is a must-have for fans of the film, or indeed of Fairy Tail as a whole. As we noted previously, pre-orders for our Collector’s Edition will open on Friday, 18th May at around 5PM, so be sure to check the shop listing below then to be amongst the first to pre-order and ensure you nab a copy of the film which includes this bonus item! Stock of this storyboard will be allocated strictly on a first-come, first-served basis as orders are received, so when it’s gone, it’s gone. And that’s that for our look at Fairy Tail: Dragon Cry on home video! We hope to see you around on May 18th when pre-orders open, and as a final reminder all of our editions of the film will be hitting retail stores on Monday, 28th May 2018.